First off, thank you for your interest in blood donation (献血 ‘kenketsu’ in Japanese)! It’s a simple thing that can make a huge difference to the lives of others. Whether you’ve donated in your home country, or are looking to donate for the first time, we hope the information here will help you out. Contrary to popular belief, it is possible for non-Japanese residents currently living in Japan to donate blood. There are some strict requirements that may not apply in your home country due to (somewhat outdated) safety concerns, but as long as you don’t match up with anything under the Restricted and prohibited donors section (and you’re not from the UK…see below), you should be good to go! There are blood donation centers all across Japan in most major cities. You can spot them by either looking for 献血ルーム (‘kenketsu room’) or 献血センター (‘kenketsu center’). You can also try and spot their cute little mascot, Kenketsu-chan! Most centers accept both walk-ins and appointments. Here is a list of blood donation locations across Japan. Just click your prefecture on the map. You can search for both actual physical locations as well as the schedule for blood donation buses. *Please note that the categories are cumulative, so periods of stay in various countries are added to one another. All countries in rows above are also included in successive categories. While these may seem strict, remember that donated blood often goes to people in dire medical condition. Please be honest in your answers. In order to minimize risks from transfusion, certain types of donors are simply not allowed to donate. If you’re still interested, try asking at your local Red Cross Center about donating plasma (血漿 ‘kesshou’) or platelets (血小板 ‘kesshouban’), as those can sometimes still be accepted. Those who received dental treatment that resulted in bleeding within the past 3 days. Anyone who has entered Japan within the past 4 weeks. Anyone who got a tattoo in the past 6 months. Anyone who got a body piercing in the past 1 month. Any man who has had sexual contact with another man in the past 6 months. Anyone who has had sexual contact with a new partner or anonymous partners within the past 6 months. Anyone who has used narcotics, stimulants, or other illegal drugs within the past 6 months. Anyone who has had sexual contact with someone for which 5-7 applies. Those who have ever received a blood transfusion (excluding autologous transfusions), tissue or marrow transplants, human growth hormone injections, or human placenta extract. Those who have been diagnosed with AIDS or HIV. Those who have been diagnosed with syphilis, hepatitis C, malaria, or Chagas disease. Anyone who is currently pregnant or breastfeeding. Are experiencing sleep deprivation or extreme hunger. Have taken any medication (prescription or non-prescription) within the past three days. Have received a vaccination of any kind within the past year. Have stayed in any foreign country (excluding Europe and North America) within the past three years. Have visited Europe or Saudi Arabia for more than a month anytime after 1980. Have spent more than 4 weeks in Latin America ever. Again, these latter points do not necessarily exclude you from donating altogether, but they are things that the doctor needs to know to either evaluate your health or the risk to future patients. There are some physical criteria that donors must meet in order to be eligible. Those right on the edge can consult with the physician on staff, as a quick blood iron and blood pressure test can confirm whether or not donation is safe for you. Age – Must be over 16 for 200 mL donations, 17 for 400 mL donations, or 18 for plasma and platelets. Weight – Must be over 45 kg (100 lbs); 50 kg (110 lbs) for 400 mL donations. Age – Must be over 18 for all donations. Weight – Must be over 40 kg (89 lbs); 50 kg (110 lbs) for 400 mL donations. See the full table, including information on donation limits, here. While donating blood can be a quick and easy process, there are some things you can do beforehand to ensure it all goes smoothly. You will need a form of official identification, such as your resident card or driver’s license, in order to verify who you are for collection purposes. If you’ve had any vaccines in the past year, are currently taking any medication, or have been abroad recently, make sure to write down some quick notes so you know the names and approximate dates. This will make your initial sign in and interview much quicker! The information you provide on all questionnaires and in the interview must be accurate, or else you risk the blood being unused. If you have any medical allergies (particularly to iodine) let the staff know immediately so they can use an alternative. 200 and 400 mL whole blood collections usually take 15-20 minutes. Plasma and platelet collection can take 45-90 minutes. You will need to wait in the blood center for at least 30 minutes after donation. This is to ensure there are no negative effects and that you are safe to leave. At the minimum, the entire process from entry-to-exit will take about 60-90 minutes. Give yourself sufficient time. Drink plenty of fluids before donating. Sports drinks are particularly good. These are provided for free in the waiting room of most blood centers. It’s good to eat at least 2 hours before donating. Donating on an empty stomach, especially if you have a history of low blood pressure or low blood sugar, can be dangerous and lead to fainting. Keep those iron and energy levels up! Alcohol and tobacco thin the blood, so you must not drink or smoke for a few hours before and after donating. It’s not recommend that you do anything strenuous or overly physical for the remainder of the day. If you’ve got a sports tournament on, or plan to move apartments, maybe schedule your donation for a different day! Here is the basic outline for how the donation procedure goes from the time you walk in the door. This will differ slightly from center to center. When you first arrive, the staff will ask you what type of donation you’d like to do: 200 or 400 mL whole blood donation, plasma, or platelets. Present your blood donors card. If you don’t have one, you’ll be asked to fill out a contact information and medical release sheet (see translated documents below). Once a touch-screen console is available, you will answer about 20 questions about your medical and travel history (translated below). If you are a first-timer, you will be asked to watch a short video (translated below). Once finished, you’ll relax in the waiting room, drinking lots of free drinks like cola, coffee, juice, water, and more. The staff will call you to the back room for an interview with the attending physician. They will verify your answers from the questionnaire, and ask any follow-ups. Let them know about any allergies, ill feelings, or concerns at this point. They will also take your blood pressure. If the doctor confirms you are safe and qualified to donate, you will go to a nurse who will take a small amount of blood from your non-donating arm (usually your dominant hand, since you’ll do the full donation from the non-dominant side). They measure your blood iron and hemoglobin levels to ensure you are fit to donate. Back to the waiting room! While they check and confirm everything, you can watch TV and relax. Undoubtedly, you will be answering many questions about being a foreigner, since not many tend to donate blood in Japan. Now’s also a good time to use the toilet! When your name is called again, it’s time to donate! You’ll be set up in a comfy reclining chair with your own personal TV and blanket. Different centers have different amenities, but this seems to be standard. The staff will clean and prepare your arm with iodine (or an alternative, if you’re allergic). After finding a suitable vein, they will begin the donation process. Staff will always let you know when they are about to use the needle (hari wo sashimasu). Relax while donating, and let the staff know if you experience any discomfort at all. After 15-20 minutes (or 45-60, for plasma or platelets), you’ll go back out to the waiting room. There, you’ll receive some snacks and treats, as well as a complimentary gift. The staff will ask you to wait at least 30 minutes. After that, you’ll be free to leave. REMEMBER: If, at any point before/during/after the donation process, you feel ill or experience pain, let the doctor or a member of staff know! Blood donation impacts everyone differently, so it’s important to take time afterward to relax. If it’s your first time donating, give yourself ample time to recover. You can stay as long as you like, watching TV and eating ice cream. The staff don’t mind! Many of these precautions listed below have to do with sudden fainting or dizziness that can occur in the hours following donation. RESTING — Especially if you plan to operate a car or any vehicle the day of donation, you will need to rest a considerable amount of time before doing so (more than 30 minutes). REPLENISHING FLUIDS — Make sure to keep drinking fluids such as juice, sports drinks, tea and the like. USING THE TOILET — Should you need to use the restroom immediately following the procedure, please do so while in a sitting position (this means you, men!). TAKING THE STAIRS OR ESCALATOR — Please exercise caution while ascending or descending, using the handrail should sudden dizziness or fainting occur. BATHING — Please do not enter saunas or other hot baths for at least two hours on the day of donation, as heat can thin the blood and cause fainting or other problems. DRINKING ALCOHOL AND SMOKING — Refrain from drinking or smoking immediately following donation for at least two hours, as these can also thin the blood. SPORTS — Strenuous cardiovascular activities and sports such as swimming or running should be avoided for the remainder of the day. WORK AND OTHER PHYSICAL ACTIVITY — Be careful not to apply too much force or pressure to the arm from which blood was drawn, as it will be weaker for a day or two. In some rare cases, particularly in individuals under stress or physical tension, some dizziness or ill feelings may occur. In the event this does occur, please lie down or take a squatting position as soon as possible to avoid falling. Typically, bringing your head low for 30 minutes and resting should alleviate any symptoms. However, should you feel any lingering pain in your arm or any kind of worry, please contact the blood center at which you donated immediately. Once you’ve donated yourself, you may be interested in inviting others to participate. More people can make a bigger difference! Here are some basic tips, taken from the April 2014 issue of Connect magazine. Get to know the center you’ll be having the event at. Discuss the idea with them, and determine the best day, time, and maximum number of people. Recruit 2 or 3 people to help on the day who have strong Japanese skills and who will not be donating. One can help at the front with questionnaires and forms, while the other can help in the back with interviews and the donation process itself. 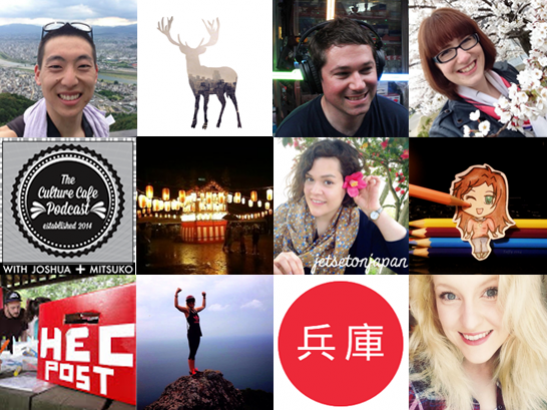 Arrange a big lunch or breakfast meetup beforehand! Not only is it a fun way to socialize beforehand, it ensures that everyone has a full stomach and drinks lots of fluids. Provide participants with all the documents beforehand. It’s a good idea to have everyone fill out the questionnaire and contact information sheet ahead of time, that way they can refer to it on the day of. Print out a few copies of the translated forms and information, so that you have it on hand while filling out everything. Schedule an ample amount of time for everyone to finish. Several people can donate at the same time once everyone is filling out sheets and finishing their interviews, but it still takes about 3 hours for 10 people. Know who’s donating for the first time ever, and make sure to give them lots of encouragement and check in with them throughout. The following documents have been translated from the materials provided by the Japan Red Cross Blood Donation Centers. We have done our best to match their layout to their Japanese counterparts. Print them out and bring them with you, so you can refer to them throughout the process! This questionnaire is presented to all donors who walk in. It is done on a touch screen. This document matches the order of the questions and responses, so you can refer to this while answering. Double-check with the staff if something seems out of place! This is filled out the first time you donate, after which you can make a card that will store all this information. It contains your name and address, plus some consent about screening tests. 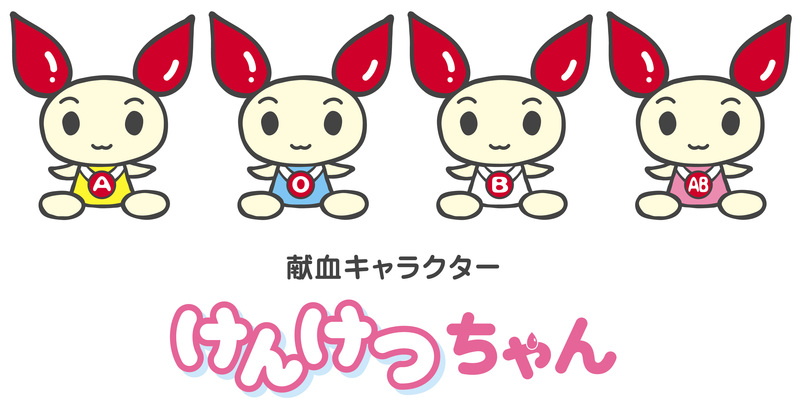 The “おねがい!” pamphlet has a general overview of the blood donation process, including information on what to do before, during, and after. If it’s your first time donating, you may be asked to watch a short video about donating blood. This document contains a translation of the text. This has the basic physical requirements of height, weight, age, and others for donors of various types and amounts of blood. Legal information and disclosures about the usage of donated blood and privacy of personal information. The Japan Red Cross has some specific regulations regarding those who were born in Latin America, whose parents were born in Latin America, or who have spent more than 4 weeks in Latin American countries. You are not excluded from donating, but donated blood may be used for research purposes instead.